Hornets need a place to build their nests. Awnings, window sills, gutters, or any other piece of property that can give them a ledge to build off of can be a place to establish a hive. If your residence has any of these available to hornets, then you may be at risk for a hornet problem. Hornet stings are painful and dangerous. The worker hornets will aggressively defend their homes. Hornets do not die after a sting like bees do, so they can continuously sting you and cause damage or even fatalities if too many attacks you or your family. Additionally, hornets can release an attack pheromone which can trigger other hornets to attack. If allergic, a sting can be you into anaphylactic shock, which is a life-threatening situation. 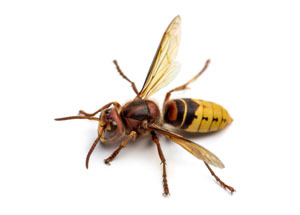 hornet removal is the step you must take to regain safety around your home and yard.